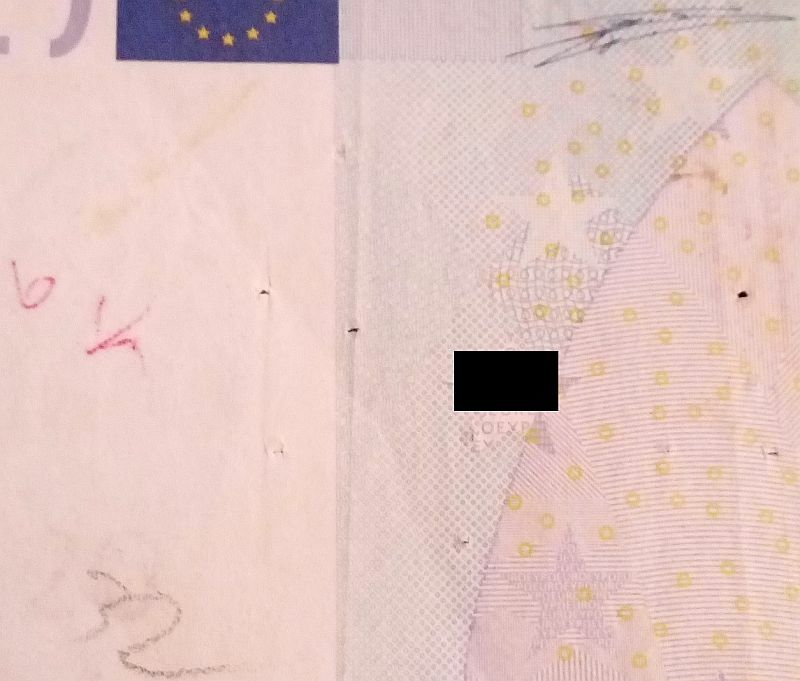 In Finland one EBT user marks his note with that kind mark, though by a pencil Sad that it wasn't an international hit..
Last edited by Montgomery Burns on Wed May 10, 2017 1:19 am, edited 1 time in total. Btw, I, and probably some other people as well, have noticed that the printing of new is sometimes really uncarefully made. Just like in your picture, the upper side of note differs partly from the main line, and is getting ripped easily when used. I haven't seen that kind of mistake before, but mostly that part is located just above the hologram. That has off course affected and will affect to the time that these notes are in circulation. 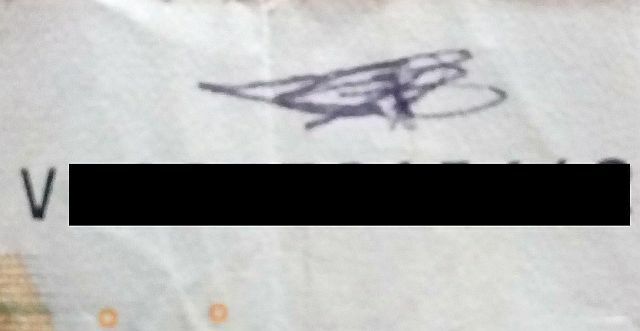 Another mysterios Message, maybe a name and with a amount of owe? Where was that banknote from? I just looked them up (they are, in fact, two different notes): top one, M/M. Bottom one, U/U. Edit - this may be worth mentioning: I run my pictures through an "adjust colors" command in the the photo editing program that I use (Irfan View). In other words, those color shades may seem a little bit unusual, but the pictures aren't exactly "original". Montgomery Burns wrote: I just looked them up (they are, in fact, two different notes): top one, M/M. Bottom one, U/U. I noticed that mainly in Europa and . 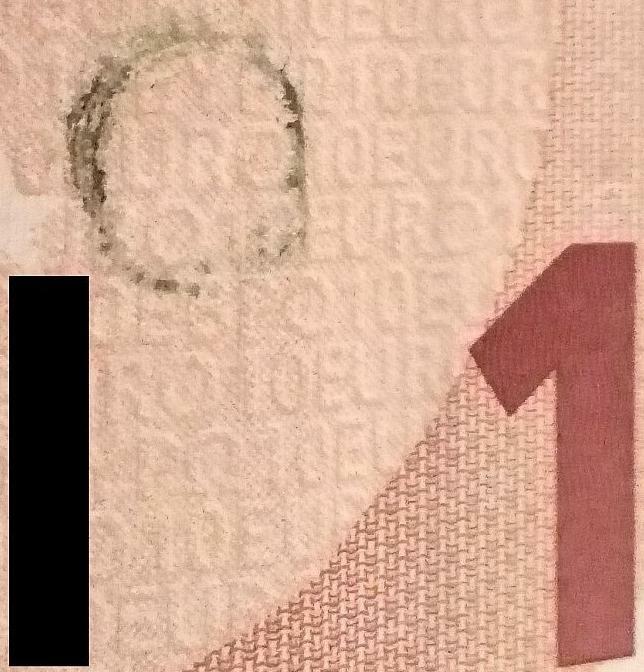 :note-20:s are different mainly in the purple ink (darker or lighter), while :note-10:s may be generally darker or lighter. 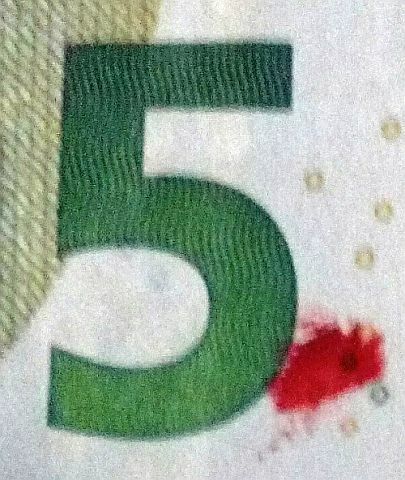 Even the cut can be different: M/V Draghi seems to be cut 1/2 mm differently from other :note-50:s.
That cut may also have happened accidentally outside the factory. I was given a bundle of around 20 notes of € 50, all of them with Duisenberg signature and of a lot of countries, so I guess those notes were sleeping for 13 years. One of these, this (M002xx / V016xxxxxxxx), had a handwritten mobile phone number with blue ballpen. Last edited by Montgomery Burns on Wed Apr 04, 2018 2:01 pm, edited 1 time in total. 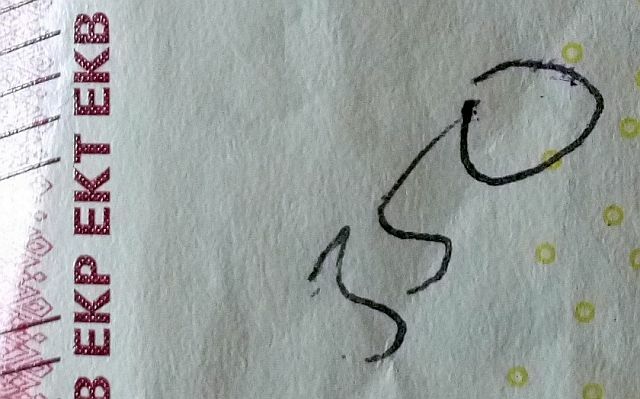 This bill was given to me by a customer at work. Don't know what it means. Last edited by Montgomery Burns on Thu Jul 20, 2017 1:38 am, edited 1 time in total. This is a nice one. A heart and the name Luca. 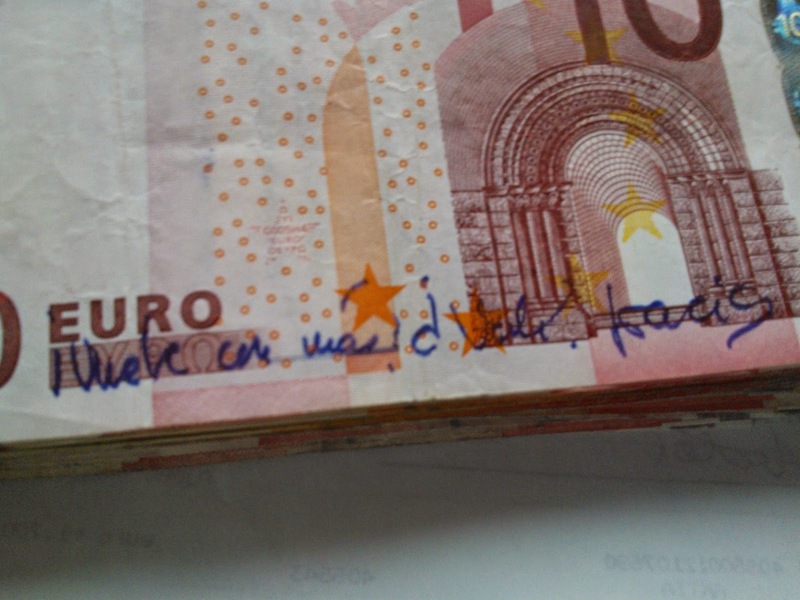 How truly dear to write this on a banknote.